"Lisa is undoubtedly the best overall real estate agent I have ever worked with." - B.L. "Lourdes was exceptional in all of what I call the 3 important areas of a real estate transaction: great list of comps, negotiation and follow through." - T.B. Compass fronting the cost of prep services that can increase the value of your home. Compass-backed bridge loans to ease the transition between homes. Compass's exclusive home search tool that promotes listings and pre-listings while boosting your Google rank. Not only do we offer these exclusive services, we also provide you with the essential statistics to make the best-informed decisions. We believe data and analysis reveal opportunity. Of course, we are always happy to chat about the market, pull custom market stats, prepare a personalized home valuation or recommend what color to paint your walls! Whether your needs are local or across the country, we are just a phone call away. Data is powerful. Know stats like monthly under contract activity, monthly showing activity, inventory levels and pricing trends to gain the competitive edge. Contact Lisa and Lourdes for custom curated stats relating to your home. Let us front the costs for getting your home listing ready so that you get the best sale price possible. At closing, the cost of those updates are deducted. It’s tough to juggle two homes. Showings, packing, throw in a few pets or kids, and you’ve got maximum stress. Compass bridge loans offer you flexibility to temporarily carry two homes. This is an exclusive program from Compass—contact Lisa and Lourdes for additional details. Exposure is KEY! As a seller, Compass.com permits your home to be searched pre-MLS by all buyers (and indexed by Google too) creating a huge advantage in the marketplace! It's national brand exposes you to over 8,000 closely connected agents nationwide. Stunning Best-in-Class photography to reveal your home's essence. Traditional marketing methods (print, networking, direct mail, etc) layered with our high-tech ones (digital ads, video, retargeting, etc. ), ensure the most relevant and qualified buyers view your home. As the market gets tough, the tough get creative. Arm yourself with our out-of-the-box negotiation and finance strategies to help you emerge with top dollar at closing. Lisa Finks is the most knowledgeable, hardworking, patient real estate agent I've ever worked with. She is a gem. I actually cried at our house closing because it was so hard to say goodbye to her. I can't say enough good things about her. She is simply the best! You are very lucky to have her working for you and so were we. : ) - Wendy M.
Lourdes is the best real estate agent I have work with. She was patient, kind, and understanding with all of my situations. She was the best most reassuring agent I ever have work with. I would worked with her again in a heartbeat! Professional broker supporting purchase of my home process from market research til close, who is the member of HomeAdvantage program. It was pleasure to work with Lourdes! - Marek P.
Lourdes has been patient and flexible with us since we began looking for places nearly two years ago. Even though it turned out I didn't qualify for anything on the market when we first started looking, she kept in touch with me and was immediately available after my financial situation changed. I never felt pressured to settle for a property we weren't comfortable with, and she made it clear that she would help us out for as long as it would take to find a place we loved in a good location. - Jennifer B.
Lourdes is all you could want in a realtor- knowledgeable, energetic, always positive, warm and friendly. - Marlene S.
Lisa is that exceptional broker that you hear about but rarely meet ... the one that goes way above and beyond the norm, that truly cares about her client's happiness, who works tirelessly to ensure all the i's are dotted and the t's crossed, and will ensure you are partners every step of the way. Patient, humorous (which is necessary! ), intelligent and kind. . . she truly made my sell and buy a terrific experience. - Joy S.
Lourdes is amazing! She is patient, kind, thorough, a fabulous listener, and incredibly gracious at the same time. She truly knows how to do her job with confidence. Finding a new home can become a stressful situation, and Lourdes really makes it very pleasant. - Jennifer T.
Lourdes is very professional and knowledgeable at what she does. I came from a different country and had no idea about Chicago before I came. Through Lourdes' guidance, we nailed down our requirements and found the place what we wanted in a fairly quick timeframe. She is also very patient and considerate dealing with her client. I had a very busy working and traveling schedule, she always accommodated my schedule to the best she can and keep me informed in various ways. So even when I was traveling, I felt she is working on my case and making progress. She is also very resourceful. We encountered some difficulty in loan application. Lourdes has provided contact, who helped us get the loan and close the house. I had the pleasure of working with Lisa Finks as my realtor. When I decided to buy my first place, I was filled with a variety of emotions--nerves, excitement, and most of all uncertainty. I wasn't sure where to start or what to think, or if it was even the step I was ready to take. Lisa was not only knowledgable, but she knew just the right questions to ask to help me figure out what I was looking for, and what was most important to me. She was able to be objective and professional, yet caring and encouraging. My house is absolutely perfect for me! I never would have found it without Lisa! I know that she was probably helping other people find their dream homes, but I felt like she was completely devoted to me. She was available and dedicated, and people tell me they've never heard of someone finding a place so quickly. Lisa went above and beyond to help me find the best place for me, within my price range. One of the best things about Lisa is that she provided insight and ideas and was willing to discuss pros and cons, but ultimately, she gave me the liberty to make my own decisions about what was best for me. She was able to suggest incredible, qualified people when I needed a mortgage broker, attorney, inspector, etc, and everyone I've worked with has been amazing. I can't say enough about Lisa Finks' as a realtor and also as a person. Even after I moved in, she continued to check to see how things were going. I started my process with a mix of emotions. Now, I would say, my emotions are THRILLED to be in my house, COMFORTABLE with the price I paid, SURPRISED how quickly I was able to find my house, GRATEFUL that Lisa was able to not only help me find my house but also help me feel at home! - Allison E.
We connected with our broker, Lisa Finks, through the internet. She arranged three opportunities for us to see on our first meeting after discussing our needs. Lisa clearly listened as these properties all had potential for us. Lisa is sincere, helpful, compassionate, prompt, honest, and worked hard until we found the perfect apartment for my daughter and me. I would highly recommend her! 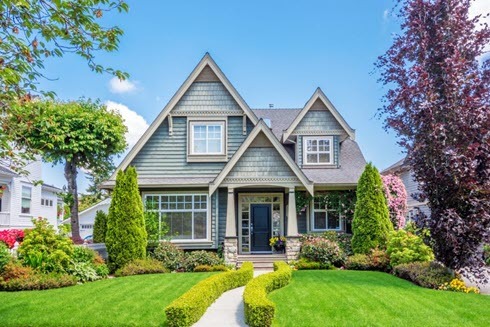 - Samantha T.
Compass Concierge will assist you with the implementation of a tailored plan for updating and staging your home for prospective buyers. Compass Real Estate will cover the upfront costs associated with pre-listing home improvements. For exclusive news and market updates, sign up for our monthly newsletter.